The ELO 2639L open-frame touchmonitor delivers a cost-effective touch solution for OEMs and systems integrators, and complements Elo's expanded family of touch solutions for gaming and amusement, retail self-service and kiosk applications. 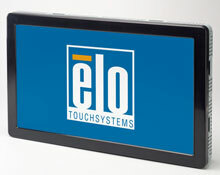 This compact 3000-series touchmonitor is "designed for touch, " with Elo's proven expertise and reliability built-in, not added as an afterthought by altering an existing monitor. The Elo E324736 is also known as Elo Touch Systems	ELO-E324736	.